UFC 125: Frankie Edward vs Gray Maynard | MMA Fighting Events Videos Techniques UFC Fight Picks and News. 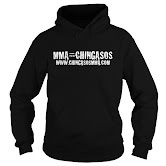 The UFC kicks off 2011 with UFC 125 on Saturday January 1st. 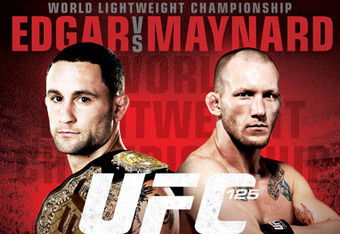 The main event will be a rematch between Gray Maynard and Frankie Edgar. In the first match up, Gray Maynard won in a decision. This time, Frankie Edgar is holding the UFC lightweight title and Gray Maynard wants to take it away. Frankie Edgar took the belt away from BJ Penn at UFC 112. He then kept it away in a rematch against BJ Penn at UFC 118. While Edgar is holding the UFC lightweight belt, he has that blemish on his record that I'm sure he's eager to erase. He now has a chance to avenge his loss to Gray Maynard and pave his way to UFC hall of fame status. I have a feeling that this fight is going to be a 2011 fight of the year candidate. The lightweights in MMA usually put on a great show and these two fighters have all the tools and every reason to put on an MMA showcase. I just hope that Frankie Edward can avoid being smothered my Gray Maynard for five rounds. I doubt anyone wants to see that.